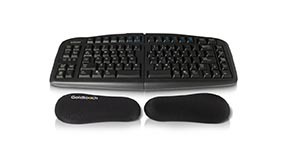 The complete kit to bring you into the new age of ergonomics, the Ergonomic Keyboard and Mouse Bundle by Goldtouch is one comprehensive addition to the workstation that will have users working at maximum efficiency. Featuring a Goldtouch V2 Adjustable Keyboard for PC and Mac - GTU-0088 with the option to add a Goldtouch or Evoluent ergonomic mouse, this bundle will keep you working in comfort. 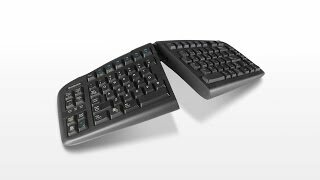 Engineered to eliminate repetitive stress injuries such as arm strain and carpal tunnel, it's the all-in-one setup that will boost productivity all while protecting your greatest assets from mousing and typing distress. The Goldtouch Ergonomic Keyboard and Mouse Bundle for Mac can be customized with an ergonomic mouse to further improve workstation comfort. You can choose from either Evoluent's award-winning Vertical Mouse 4, or the Goldtouch Ergonomic Mouse. 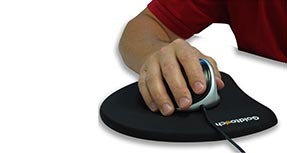 Both mice are available in right handed and left handed versions, and a wireless model is also available for each in a right-handed configuration. 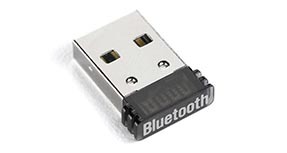 If your computer is not Bluetooth equipped you will need to add the Bluetooth adapter option, which connects to a USB port. 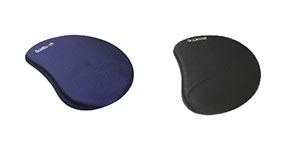 The included Goldtouch Low Stress Mouse Pads are available in either blue or black. $190.00 List Price: $249.00* The list price is the same as the MSRP (Manufacturer's Suggested Retail Price). It may not necessarily be the price at which the product is sold.